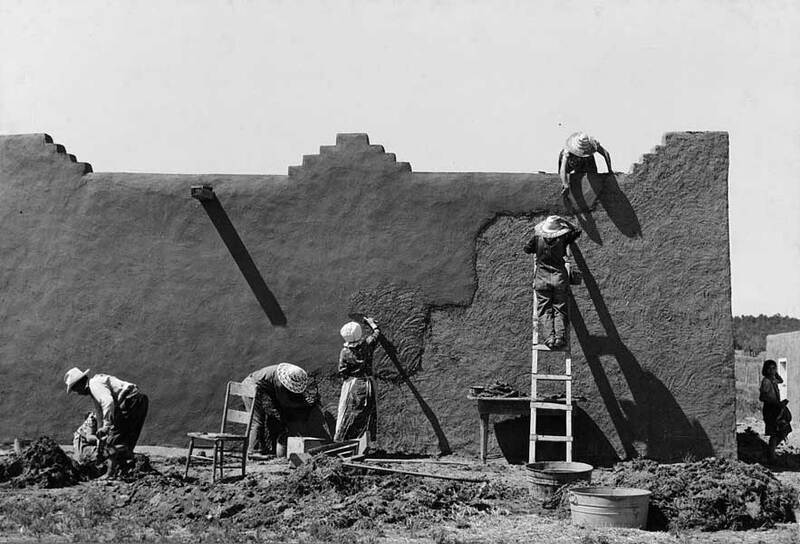 Spanish-American women replastering an adobe building in Chamisal, New Mexico, in 1940. Enjaradoras are traditional female mud plasterers, responsible for the annual replastering of adobe homes and buildings. 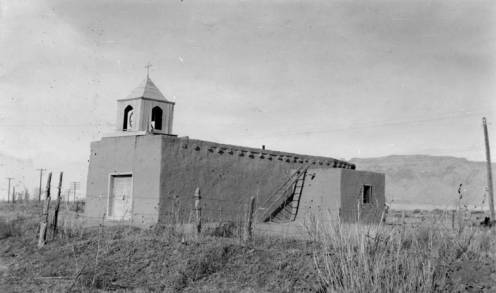 This exterior plastering is necessary to protect adobe bricks from weather, and must be maintained regularly. 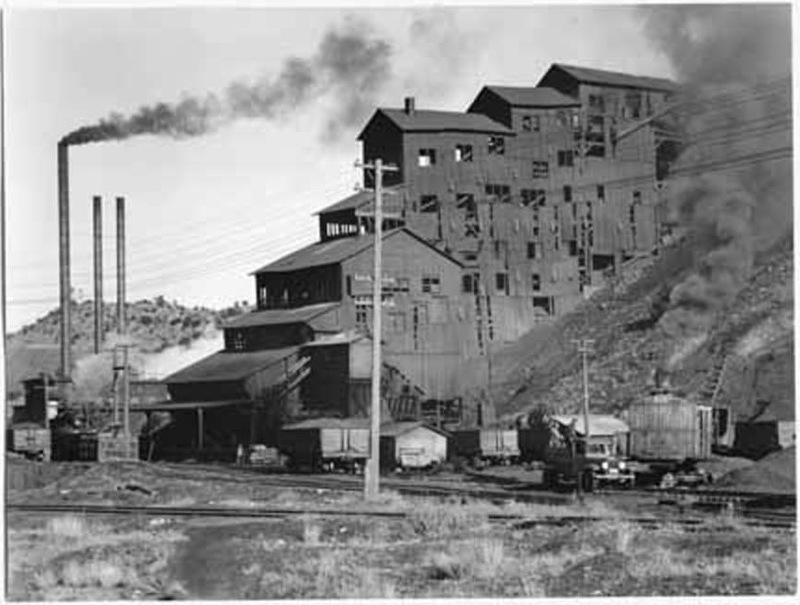 A photo from circa 1935 shows an anthracite coal breaker and power house buildings in Madrid, New Mexico. 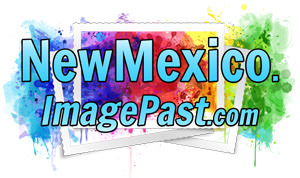 The history of mining in New Mexico goes back nearly five centuries. Lead mining in the 17th century gave way to coal and gold mines by the 19th. By the 1890s coal mining had become big enough to require a railroad spur to connect the area to the Santa Fe Railroad, and a seven-story anthracite coal breaker was built. Madrid became a Company coal town, with inhabitants living in prefab cabins shipped out from Kansas. 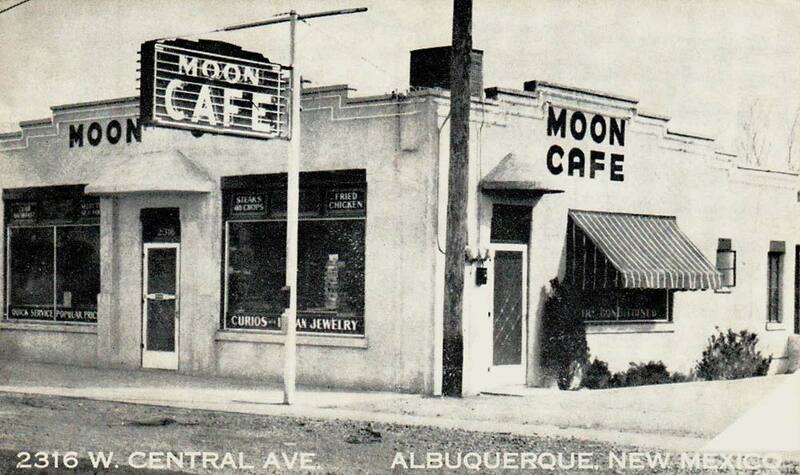 Interesting old photo of storefronts with fantastic examples of 19th-century signage, at 216 1/2 South Second Street in Albuquerque. 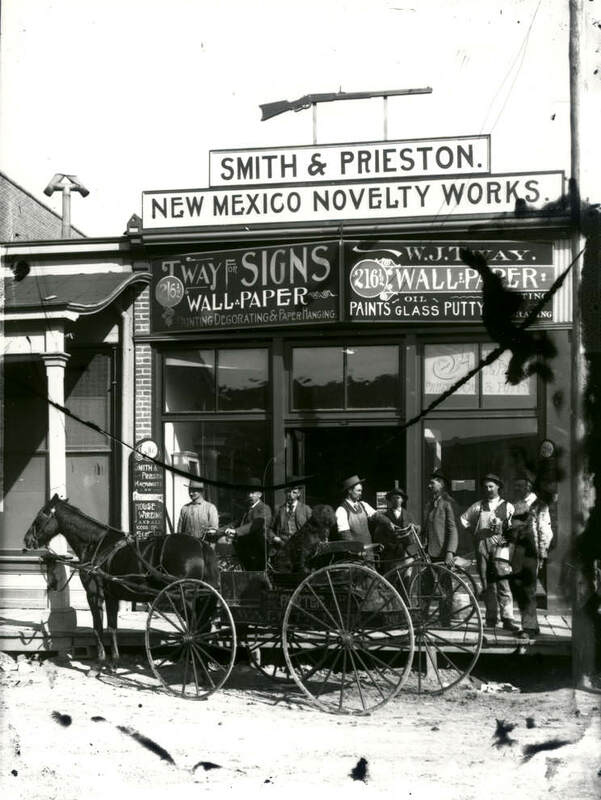 The shops sharing the space are Smith & Prieston Machinists & Electricians, New Mexico Novelty Works, and W.J. Tway Signs, Wallpaper, Painting, Decorating & Paper Hanging. 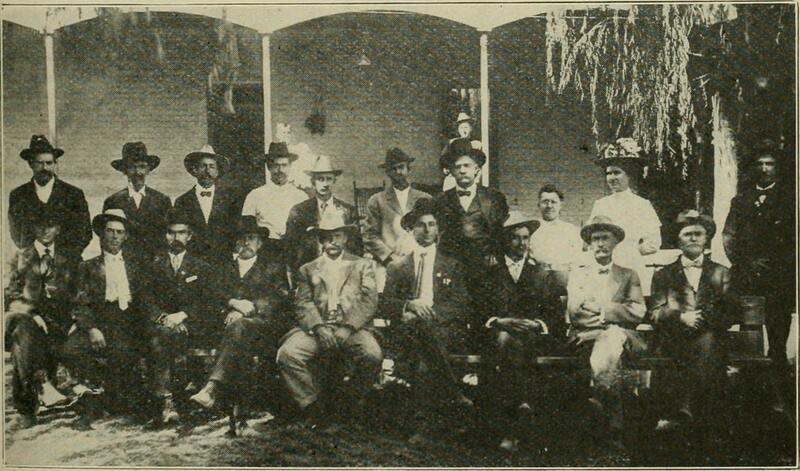 Several men stand on the wooden sidwalk, some dressed in overalls, some in suits, and one man wearing a shopkeep’s apron and sleeve stockings. A large dog sits in a horse-drawn buggy that bears more advertising for Tway the Painter.